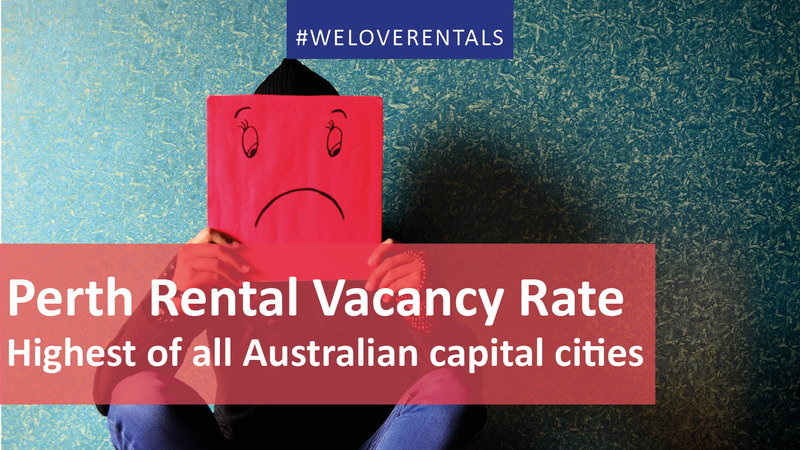 All our capital cities have increased their vacancy rates in December 2017, according to new data released by SQM Research, with the number of vacancies Australia-wide increasing to 80,092; an increase on the month of November. Hobart’s vacancy rate continues to remain at a record low of 0.3% since October 2017. Canberra and Adelaide’s vacancy rate also remains tight at 1.3% and 1.5% respectively. Perth’s vacancy rate rose to 4.6% from 4.5% in November and remains the highest of any capital city. In the bigger cities, vacancies increased materially in Sydney to 2.6% in December, up from 2.1% in November. Melbourne also recorded increases with the vacancy rate now at 2.1%, up from 1.8%, however Melbourne’s vacancy rate was lower than recorded in December 2016. Brisbane’s vacancy rate rose from 3.4% to 3.8% over the month. The rise in vacancies continue into December due to seasonality and those in Hobart and Canberra continue to face ongoing tight rental conditions and higher rents. However, the rise in Sydney was larger than expected, if these current vacancy rate levels hold in January and February, Sydney will be a tenant’s market in 2018. Capital city asking rents over the month to January 12, rose 0.9% to $555 a week for houses. Unit asking rents also rose marginally to 0.7% to $440 a week. Adelaide was the only city to record a decrease, with its house asking rents declining marginally by 0.1% over the month. Unit asking rents however, increased by 1.1% over the month. The highest increase for houses was recorded in Darwin at 2.5% over the month, while asking rents for units jumped the most in Hobart by 6.7%. Compare this to Hobart’s asking rents for units in November which actually had the largest drop at 3.6% in that month. Sydney continues to record the highest asking rent in the nation for a three-bedroom house at $730.60 a week and also for units at $520.80. Canberra follows at $606.10 a week for houses, with no change over the month. Units however, increased by 1.9% to $442.20. 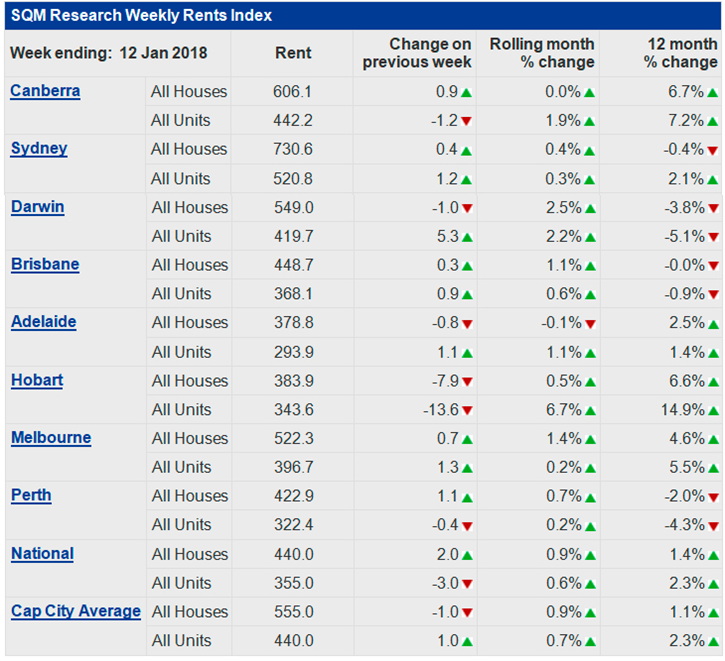 Asking rents for houses rose in Melbourne, up 1.4% over the month to $522.30 while unit asking rents also rose 0.2% over the month to $396.70 a week. Thinking professional property management with passion? Think We Love Rentals®! Call us today on 08 6254 6300 or check out our handy Landlord’s information here.